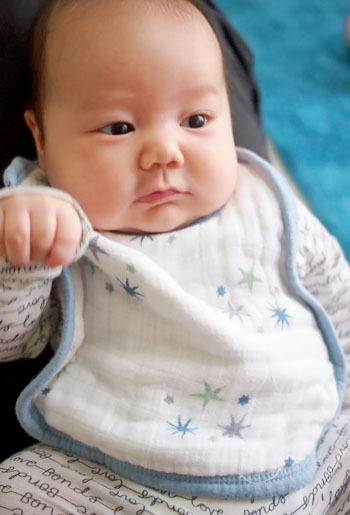 MY FIGHT AGAINST DIAPER RASH WITH AIDEN+ANAIS & SUDOCREM | Beverly's Net: family. food. fashion. MY FIGHT AGAINST DIAPER RASH WITH AIDEN+ANAIS & SUDOCREM – Beverly's Net: family. food. fashion. A couple of weeks ago, Carter had a bad diaper rash. Two patches of skin (about the size of half your thumb) on either side of his bum was completely gone.. eaten away by the acids in poo/pee. What was left was raw, weeping flesh. Does that sound horrific? WAY WORSE if you had seen it in person. And EVEN WORSE if you had to hear him cry and scream in pain for ages and every time I changed his diaper and had to clean his bum. It was awful. So bad that even his pediatrician cringed when she saw it, and said it was “really bad”. 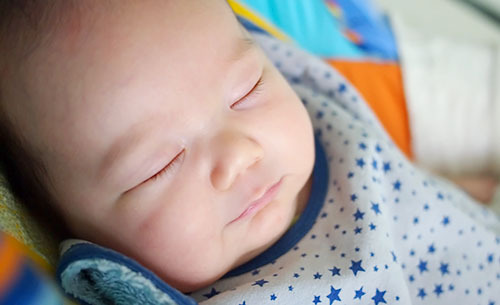 So, I found 3 products that cleared the wounds and have prevented diaper rash ever since. 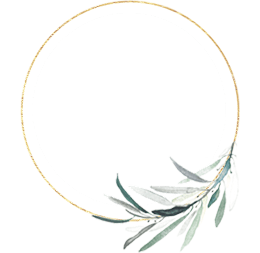 Thought I would share them here… because a baby in pain is every parent’s nightmare, so I hope you (and your bub) will avoid it! 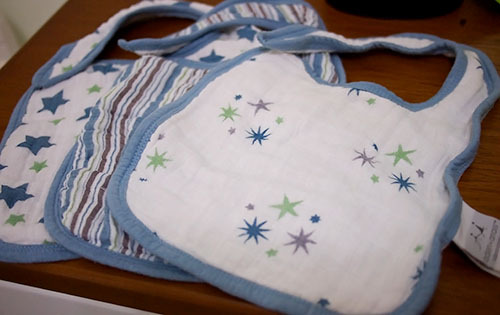 Cloth diapering – I use Charlie Banana because they are the softest and have adorable designs. Already made a blog entry about Charlie Banana diapers, so I won’t talk about it here. But, I’m amazed at how soft and comfortable these are against baby skin, and how absorbent they are! Note: I don’t use wet wipes on Carter’s skin whilst at home, after his doc told me that they are actually highly irritating, no matter what brand you get. Instead, I use large cotton pads and warm water. Cloth diaper-clad boys. Erm.. apart from Chris, that is. aiden + anais Soothing Ointment – I have a strange fascination with this brand. 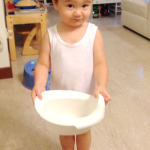 I just find all their stuff so…. enticing!! Their ultra-soft muslins span across various products, of which I own.. errr… virtually everything. I just can’t help myself! So I was naturally excited when they launched their new skincare line. This Soothing Ointment has 50% fresh fermented pawpaw fruit and is meant to relieve diaper rash, minor cuts, insect bites, and cracked/chapped skin and lips. Sounds similar to Lucas papaw ointment? That’s because it’s the same concept, but this aiden+anais version has a smoother and creamier texture, which I like for application. I smooth this onto his bum to soothe his irritated skin, and it melts beautifully in. 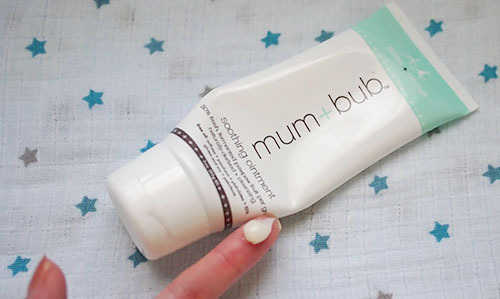 Tip: this actually makes application of a diaper rash barrier cream a lot smoother/easier afterwards! Also fabulous as a lipbalm. 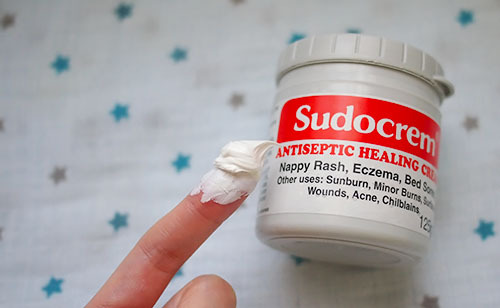 Sudocrem – this little jar of wonder is a physical barrier cream. It’s a solid white colour and I apply it after the aiden+anais Soothing Ointment. The purpose of this is to prevent the pee/poo from sitting against the skin and irritating it further. It’s awesome. My only small gripe with this product is that it’s in a tub.. which I find both not very portable, but also gross as I have to dig my finger into it and it always gets stuck under my nails. But, I live with it as this cream is superb and really does its job. Tip: buy this at Mothercare, as it’s way cheaper than if you buy it at pharmacies. Result? A happy Carter, diaper rash now gone! I also know people that use these muslin cloths in the office, because they’re so light and soft, but make a lovely cover up against chilly office air conditioning. These are so incredibly soft! ADEN + ANAIS… SOFT MUCH?! sudocrem is the defacto regular diaper cream here. they give you a tiny sample tub along with a bunch of other samples at the hospital! it’s cheap as chips in the supermarket. for a really bad diaper rash, i used metanium (http://www.metanium.co.uk). cleared up K’s rash in no time at all back when she was a mere bub. Aww wish they had the tiny tubs here, cos my regular size one is NOT portable.. plus I just wish it would come in a tube. I don’t think we have Metanium here, what a shame! Sean had a really bad bout of diaper rash when he was stricken with stomach flu once. It was terrible and the only thing that worked for him was Lucas Papaw. The Aden and Anais one looks really good too! I find that it is best to just wash their bums with water after every diaper change! Ack.. I assume the stomach flue turned his poo even more acidic or something? I LOVE Lucas Papaw. But I prefer this aden + anais one as the texture is smoother and meltier (if that makes sense?) and smells nicer 😛 I’m using it as a lipbalm and also on Hunter’s dry cheeks and nostrils (from repeated wiping due to him having a cold the past week). IT’S AWESOME. Agree that the best is to wipe/wash with plain water after diaper changes.. I have a thermos of hot water by the change table now for that, and don’t use wipes! Thaddeus had a very nasty case of diaper rash last November. I nearly bailed on my Italy trip because he was so pitiful. It was so painful the paed told us to use saline water to rinse his bum instead of tap water. I bought cartons of saline water from my pharmacy! I should probably try these on the both of them as preventive measures because I’m SO afraid of it happening again. I use both the creams as preventive now too… as I suspect Carter has more sensitive skin (Hunter never had any issues and I hardly used ANY diaper cream on him, ever) and I’m really terrified of a repeat episode – so shocked with how it can get SO bad in just 24 hrs… not enough time to even catch it and try and help stop it 🙁 So better to be safe, I say! Triple Paste is also a very good diaper rash ointment and you can get the 2 oz tubes for on-the-go. It was the only thing that helped my baby with his diaper rash, along with washing his bum with baking soda and warm water. So now, I always pat dry his bum before I put on any creams and diaper. 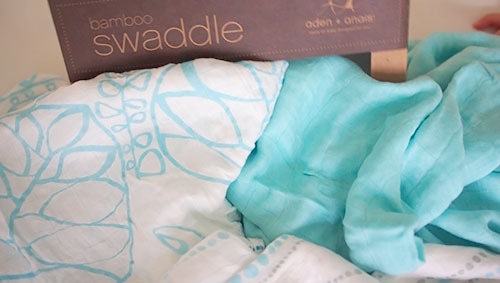 Will definitely have to check out the new aden + anais bamboo swaddles! I love the color and prints. Thanks! I don’t think we have that here.. I like the thought of a 2oz tube! Poor Hunter! I hope he gets well soon. How does Carter manage to look so cute in every photo!?! Haha. I do have Bepanthen actually! But I don’t find it as smooth to apply and easily-absorbed as this aden+adais one. Jordan (#2)is allergic to every diaper cream on the shelf. So I use california baby cream and Physiogel AI Cream at night at her last diaper change. I also never put creams unless they’ve had a bathe or washed their bum because I believe that the germs, bacteria are then trapped between their skin and the cream (my logic), so I use lotsa corn flour powder instead esp when I’m out and about. Do you think powder helps protect the skin though, or just keep it dry? i can never figure out if I should put powder OR cream, or both (and which ones comes first). I use Physiogel moisturizer for the kids. It doesn’t smell very good, but at least it works! I think it’s to keep it dry and prevent diaper rash. If I use both, I put cream first and then powder but I usually don’t… it’s cream when I know that the skin is very clean and powder usually. The funny thing was that Jordan was allergic to every type of diaper cream, drove me a bit mad. Ooo I dunno why i’ve never thought of that, but OF COURSE!! ooo thanks for the tip! 🙂 the aidan + anais collection looks amazing! i think i spotted it in forum! will pop by tomorrow to pick some up! Glad to hear Carter’s better now. I’ve been warned about WOodbury, lol. I’m excited and nervous!! 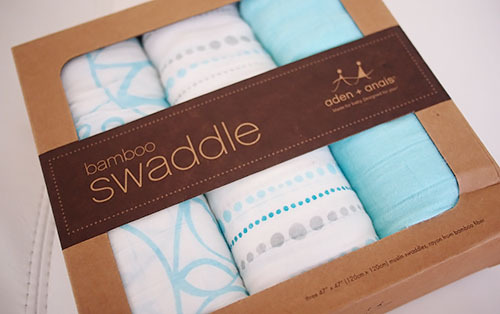 I love those bamboo swaddles too… can they be ordered from US? I’ve been to quite a few Guardian and Watsons and Watsons told me they don’t stock the brand at all.. and I never see it on Guardian shelves, let alone the tube version. Arghhhh! My poor baby (born a few days after yours) contacted stomach flu and diarrheas 6-8 times a day. It’s been 7 days and his rash is worsening. we have been to a GP, Emergency room and a PD today but no avail to both stomach flu or nappy rash. From memory it took about 3 or so days, because his was real bad and a large patch. Actually Hunter started displaying signs of it a day or two ago, and so we started using those 2 creams, and looks like it’sgone by now – but his was only just a bit red, not raw and weeping wounds.. I hope he gets well soon! Good job washing with lots of water.Stay away from wet wipes.. those are awful.. Thanks. Rash got better last night then took an abrupt turn for the worst as he diarrhea-ed 22 times in 6hrs. At KKH as I type. He was warded today. A baby’s pain, a mother’s heartache.